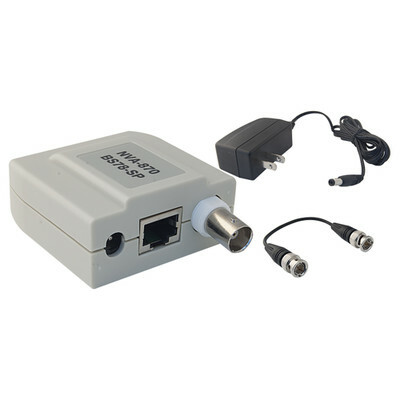 More Product InfoThis passive video balun simplifies transmitting video and power to and from the monitor/DVR. Video and power are transmitted via a tia 568B/A Cat5e cable (Works with 10B1-01240). The balun includes a 24V DC power adapter and a short male/male BNC jumper. Power and video are sent accross the Cat5e cable to a passive balun(10B1-01240) on the camera side. This part greatly simplifies video and power runs of distances up to 15 feet.